Free Shipping Included! 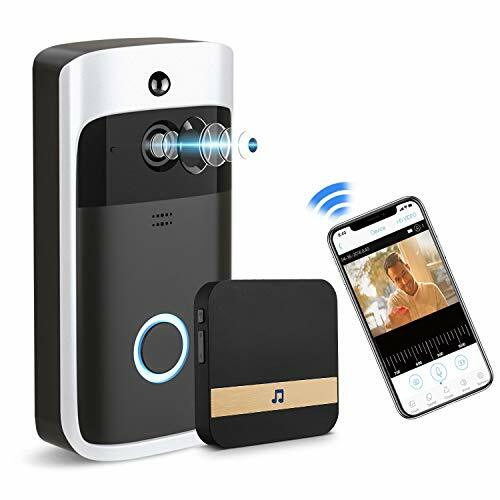 GJT Smart Video Doorbell Wireless Home WIFI Security Camera With Indoor Chime, 8G SD Card, Free Cloud Service, 2 Batteries, 2-Way Talk, Night Vision, PIR Motion Detection, APP Control for IOS Android by GJT at N Online Agency. MPN: GJT-IDB009. Hurry! Limited time offer. Offer valid only while supplies last. If you have any questions about this product by GJT, contact us by completing and submitting the form below. If you are looking for a specif part number, please include it with your message.